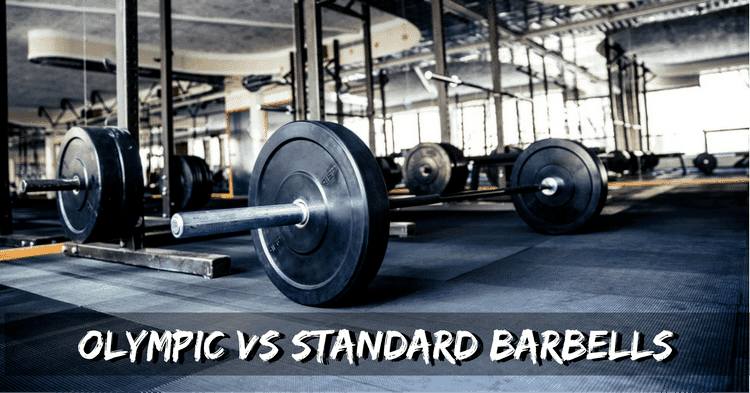 The first thing you need to know about Olympic vs. standard barbells is that their weights, lengths, and diameters can be very different. This applies to women’s Olympic and standard bars too. Olympic barbells are designed to meet competition standards designated by the IWF. Thus, all Olympic bars will have the same weight, length, and diameters. There are different standards for the men and women’s Olympic bars. By contrast, there is no regulating agency enforcing size and weight on standard barbells. 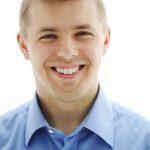 Depending on the manufacturer and how they are being marketed, there can be a lot of variation. For example, you can sometimes find standard barbells which are as light as 5lbs and designed to be used for cardio work. *Note that a lot of people use the terms “powerlifting bars” and “Olympic bar” interchangeably. While they often have the same specs as Olympic bars, powerlifting bars are NOT the same thing. Powerlifting bars are regulated by the IPF, have some different standards, and use different color coding for their plates. Olympic bars are made to handle very high loads of 1,100lbs (500kg) or more. Standard barbells can usually only handle up to 350lbs (160kg) before they are permanently bent. Take a look at the way Olympic weightlifters move during squats or lifts. The directional pull can put a lot of pressure on their wrists. For this reason, Olympic barbells have rotating sleeves or “spin”. Once you get really into lifting, you might even want to learn about the different types of ball bearings used to give an Olympic bar spin. You can find standard barbells that have spin. However, the quality usually isn’t nearly as good as those that meet Olympic standards. Knurling is the part of the bar which is textured to aid grip. Depending on the type of barbell, the knurling is located on a different part of the bar. On standard barbells, the knurling is usually quite pronounced. On Olympic barbells, the knurling is much finer. The reason for this is because, when lifting huge amounts of weight, the knurling can tear your hands or neck. Women’s Olympic bars don’t have any central knurling at all. Technically speaking, whip is a bar’s “ability to store elastic energy.” A simplified way of putting it is that whip is how far a bar can bend and bounce back. Serious lifters can use whip to their advantage during a lift. For example, whip can put a lifter in a more advantageous starting position for deadlifts. Olympic Deadlift Barbells: These have a good amount of whip to them. Olympic Squat Barbells: These have very little whip to them. Olympic Bench Press Barbells: These have virtually no whip. Olympic weights are going to have a 2 inch hole in them whereas standard weights have a 1 inch hole. These aren’t the only differences between Olympic and standard weights though. Rubber Coating: Olympic weights (also called bumper plates) are coated in solid rubber. This allows them to be dropped from above without damaging the bar. Color Coding: Olympic weights use a color coding system set by the IWF. Standard weight plates can be any color, which might cause confusion. I prefer using a standard weight tree for Olympic plates. Because it is narrower, it is easier to unrack Olympic weights one-handed on a standard tree. When grabbing 45lb weights in each hand, this makes a big difference! A lot of people have standard bars but end up with some Olympic weights. No, you can’t just use the Olympic plate on a standard bar! They will slide around and the shifting weight puts dangerous strain on your body! Luckily, there is an easy solution for this. You can buy adaptive sleeves that slide over the standard bar so they will fit the Olympic plates. If you are trying to use a combination of Olympic and standard weights on the same bar though, the adaptive sleeve won’t work (because then the standard weights won’t fit anymore). One buddy of mine was able to rig a solution by cutting up pool noodles and using these as sleeves on his standard bar. Should You Buy an Olympic Barbell or Standard? When you are just starting to build a home gym, a standard barbell is fine. It is cheap and will get the job done. However, once you start progressing to heavier weights, you’ll start running into problems with the standard bar. The standard bar will start to bend. You might run out of room for plates on the standard bar. When these issues start to happen, then it is time to upgrade to an Olympic bar. Your standard plates won’t fit it. That means you will have to replace all of your plates, which can be a pretty sizeable cost. Thus, it might be better to just buy an Olympic bar and plates from the beginning. They are a pricier initial investment, but an investment that will still work with you as you advance in your training. Don’t forget about the benefits of spin on Olympic bars. Another reason to choose an Olympic bar over a standard bar is the spin. For beginners, spin doesn’t really matter. But, as you start lifting heavier, spin is really important for taking the strain off your wrists and back. If you don’t believe it, go to a gym which has Olympic bars and try them. You’ll be able to experience the difference spin makes in feel and technique. Standard bars and plates are cheaper than Olympic. However, you’ll eventually outgrow the standard bar and all the plates you bought for it will be useless. So, it usually makes more sense to invest in an Olympic bar and plate set from the get-go. Not only will it save you money in the long run, but the Olympic bar will help you with technique and has a better feel.